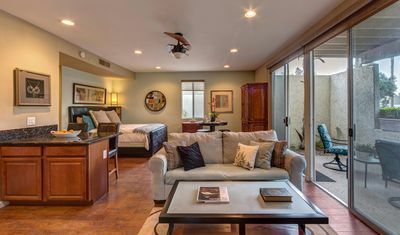 A downstairs Legacy Villas studio with a king bed, mini-bar, fireplace, full bathroom and private patio will make your next stay in La Quinta comfortable and enjoyable. 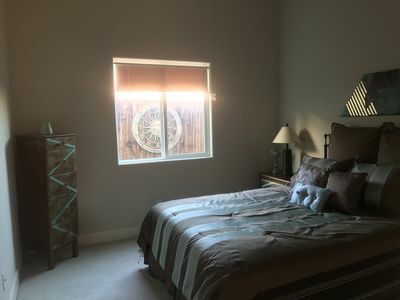 The bedroom opens to a private patio on a greenbelt towards the back of the Legacy Villas community. The bedroom provides ample living space with a closet, desk and chest of drawers. The mini-bar contains a mini-refrigerator, coffee maker and microwave. Disposable utensils and dishware are located in a cabinet above the mini-bar. 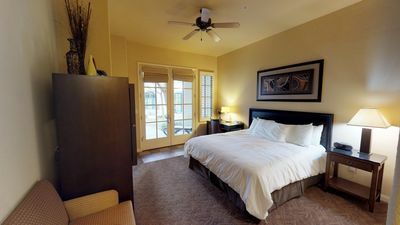 The bathroom has a shower and a separate soaking tub with adequate linens for use during your stay. 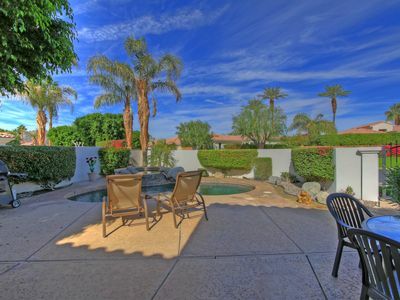 The condo is a short-walk to the largest satellite pool and hot tub within the community. The studio can be combined with LV202 to create a spacious three bedroom villa (subject to availability). 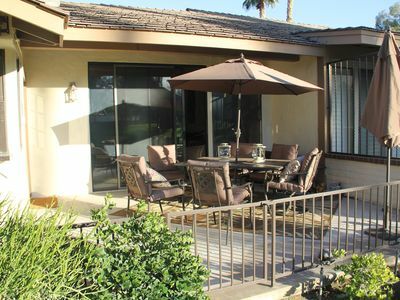 The vacation villa is located at Legacy Villas in La Quinta. Legacy Villas is a community of 280 resort condominiums and townhomes. 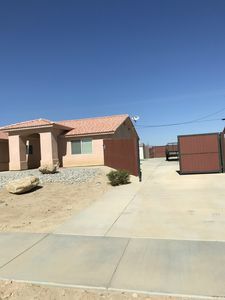 The community is nestled in a mountain cove on the western side of La Quinta with views of the Santa Rosa and Chocolate mountains throughout the property. Enjoy 12 saltwater pools and hot tubs, a fitness center and a community clubhouse and barbeque. 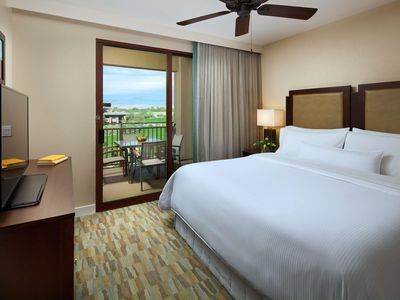 Legacy Villas is a gated community with 24 hour manned security. 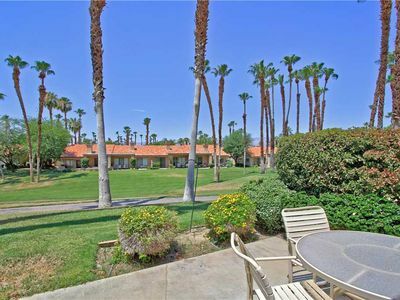 The community is a 5-10 minute walk to La Quinta Resort and only a short drive from Old Town La Quinta, the Indian Wells Tennis Garden, the Indio Polo Grounds and numerous other desert attractions. 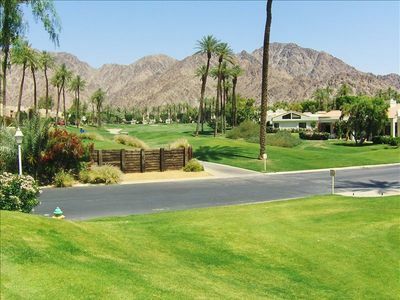 La Quinta is home to over 30 public and private golf courses. The PGA Tour's Humana Challenge is hosted at several of the city's courses each January. The BNP Paribas Tennis Tournament is hosted at the Indian Wells Tennis Garden every March; only a 10-15 minute drive from a majority of our properties in the city. Don't forget the Riverside County Fair and Date Festival in February, La Quinta Arts Festival in March and the Coachella and Stagecoach Music Festivals in April. 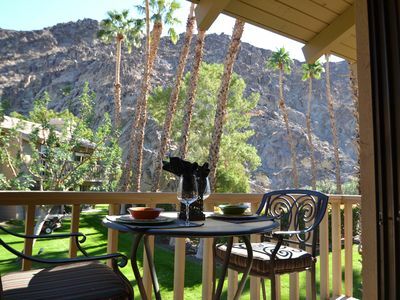 The Coachella Valley is a wonderful destination for outdoor adventure in all seasons. 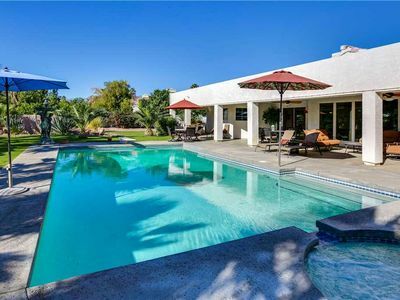 This vacation villa is the perfect place for your next visit to the California desert! 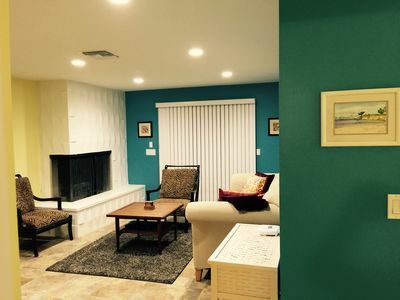 California Vacation Villas operates under the city of La Quinta business license number 762906. Property specific short term rental license number is 0110336. 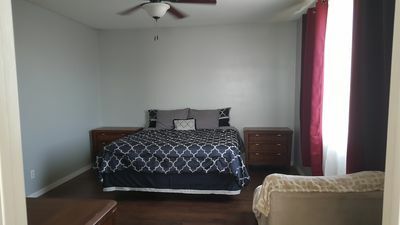 Great Location...Just A 5 Minute Walk to Old Town La Quinta! 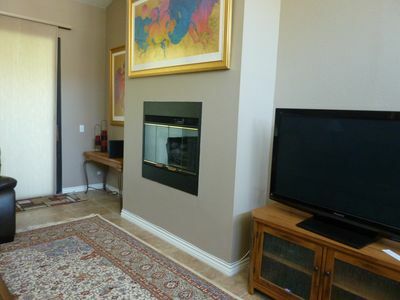 Condo in Gated-Community Nestled in Santa Rosa Mountains with Pool - One Under! Relax and Enjoy! Rent for a Weekend, a Week or by the Month! Home for rent perfect for festivals! 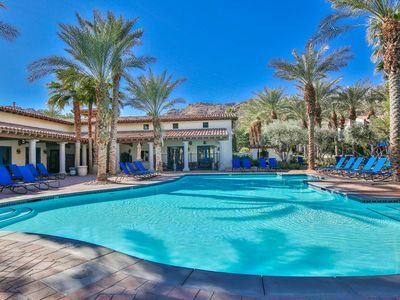 April 26-29 Enjoy Stagecoach at Westin Willows Luxury Resort w/ shuttle stop!